Transitioning a child into their first year of schooling can be a struggle for everyone involved. Providing kindergarteners with the proper learning environment is necessary to ensure they have a positive experience in the classroom. Choosing the appropriate kindergarten furniture is one way to help your students learn to the best of their ability. There is a variety of child care equipment available to cover every child’s needs. 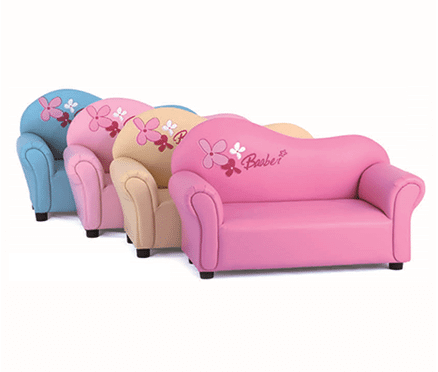 A few types of furniture one should consider are learning equipment such as tables and chairs, furniture for playtime, and storage furniture. Durability and affordability are important factors when researching the best choices in kindergarten furniture. 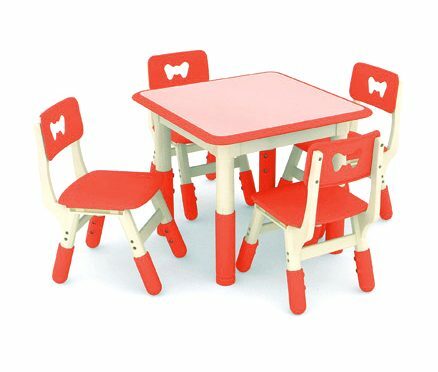 Child care furniture as simple as the design of the chairs used in a classroom or home study can also provide a great impact on a new student. For example, stackable chairs allow for more versatility in the classroom by permitting enough space for different teaching methods. 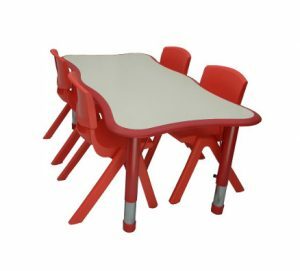 Tables are available in a range of sizes so that students can work in groups or individually – some may even have a height-adjusting option which allow for them to be used for various situations and age groups. 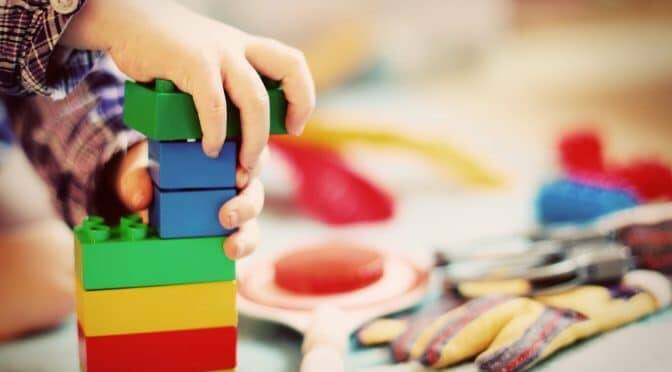 Another example of kindergarten furniture options that are necessary for a balanced curriculum is play-time furniture – this includes tools such as building blocks, puzzles, and climbing sets. These tools can be used to expose a child’s creativity as well as allow a physical outlet in-between each chapter of study. Storage is also a vital part of any classroom arrangement. Kindergarten classrooms need to be able to transform according to the study-focus, especially with a class full of active young minds. Consider shelving units such as book racks and cubbies to quickly organize the classroom’s learning supplies and play things. Individual cubbies are another great way to stay organized and allow each student their own personal area during their first year of schooling. In the end, it’s important to consider how the classroom space fits together aesthetically. The space should be comfortable, but playful enough to inspire the young minds inside – consider colors that will brighten a classroom and make the learning environment a positive experience. The transition into a formal education can be intimidating and stressful for a new student, and having the proper kindergarten furniture can make the experience so much easier for the child, teacher, and parent. Kindergarten furniture is hardy and lasts a long time. It’s sat in the centre as hundreds of kids have passed through the doors over the years. Students (and sometimes parents) have sat on the chairs, built towers out of the building blocks, and painted masterpieces on the easels. And, intentionally or not, teachers have used it to impart other lessons. It’s important that kids understand the concept of manners at an early age. Parents often pick up after them at home, and teachers do the same at kindergarten. Sometimes, though, the children are instructed to do little things. This includes tucking in your chair and putting an item back where you found it. It obviously works, otherwise we wouldn’t do these things unconsciously as adults today. At home, kids play roughly with toys because they’re theirs. Kindergarten furniture, on the other hand, isn’t. Both teachers and parents teach their children to respect other’s property. It ends with a lot of tears, anger, and tantrums if something breaks. Kindergarten furniture is hardy by design, so it can withstand rough treatment. Children play rough because sometimes they don’t know any better. Kids are quite blunt when voicing their displeasure to other kids. It’s common to hear “you’re not my friend” and other lines like that in play areas. 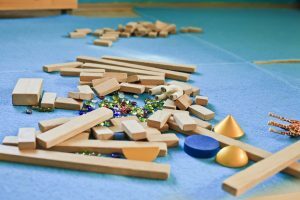 Withholding access to toys, time to play with the cubby houses, or exclusion from group activities are forms of bullying. Teachers step in when this happens, but from the beginning of kindergarten this behaviour is strongly discouraged. Kindergarten furniture is hardy and can withstand a good decade of use, but teachers and parents teach their children not to use it roughly. They tell the kids to respect property that’s not theirs. Children sometimes bar other kids from using toys as a form of bullying, but thanks to eagle-eyed carers, this gets taken care of discreetly.